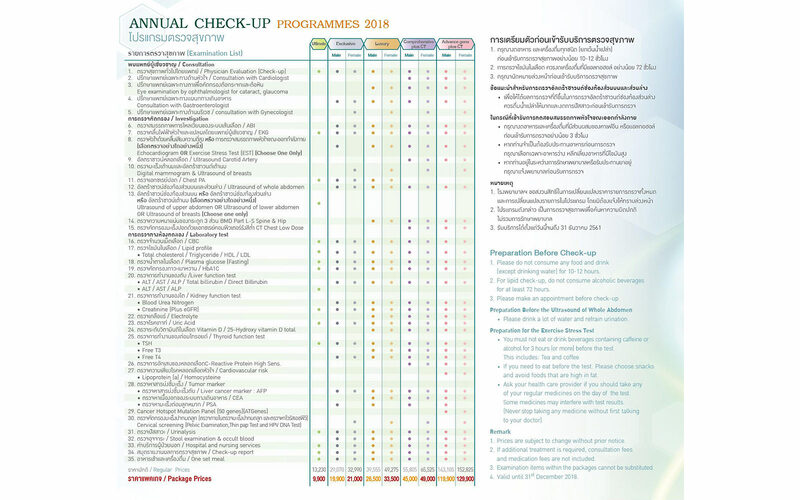 BNH Hospital, located in the heart of Bang Rak district, is one of Southeast Asia’s leading medical institutions and stands ready with its global standard services. 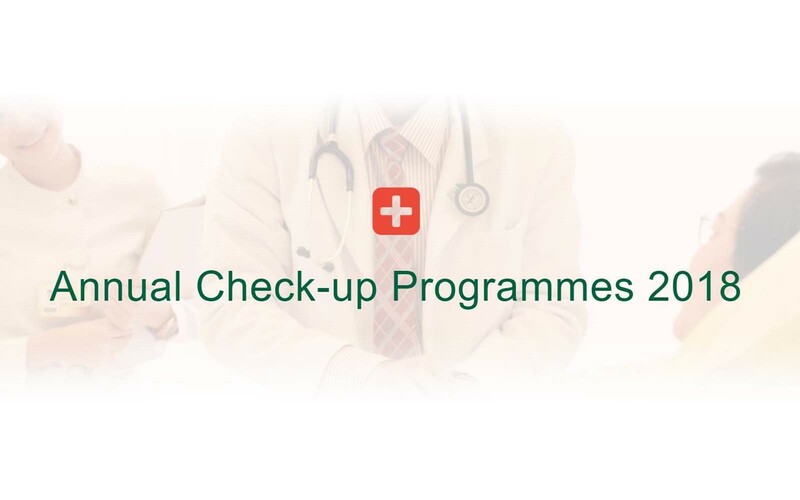 BNH Hospital ‘s Annual Check-up Program let you make the most of your precious time and help you stay health and fit for life. 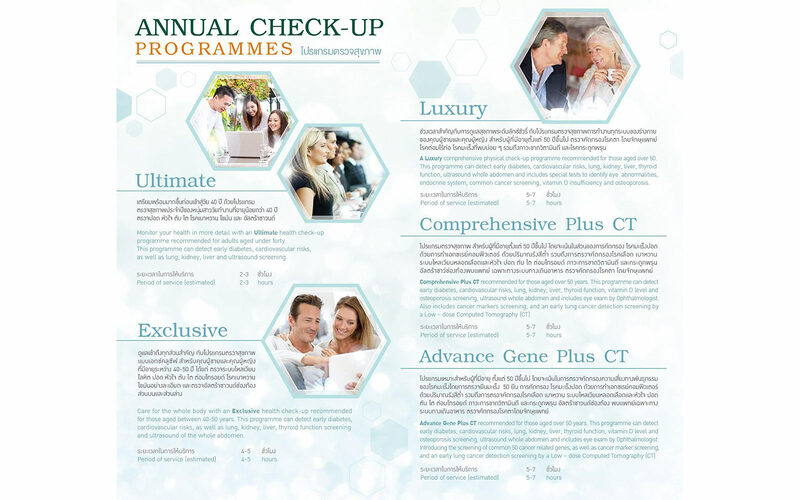 To learn more about the program details, look through the photo gallery, or click on the button to be sent to BNH Hospital’s website where you can download the brochure.